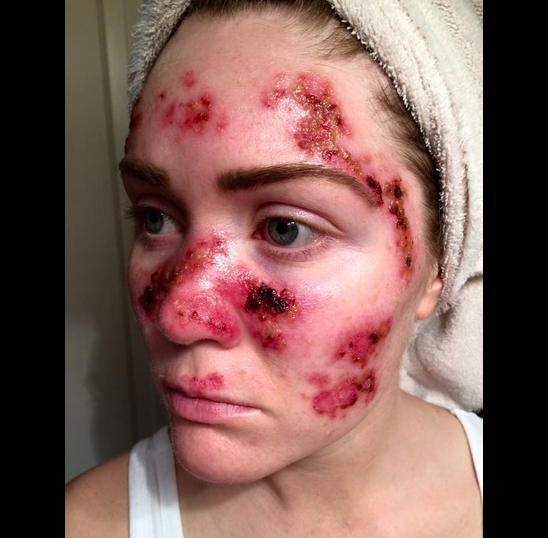 In the hopes of drawing attention to the damaging and life-threatening effects of tanning, 27 year old Tawny Willoughby shared a picture on Facebook showing what skin cancer treatment can potentially look like. The image, which some may find disturbing, has since been shared by more than 50,000 people. Taken after one of her cancer treatments, it shows her face covered with bloody scabs and blisters after applying a cream called Aldara (imiquimod). Willoughby says that she grew up with a tanning bed in her own home and she used to do indoor tanning a lot in high school. “I probably laid an average of 4-5 times a week,” she says. A solarium (otherwise known as a sunbed, sunlamp or tanning booth) uses electricity to produce concentrated artificial ultraviolet (UV) radiation. Tanning happens more rapidly from a solarium compared to normal sun tanning because solariums emit UV radiation that is up to five times stronger than the midday sun. 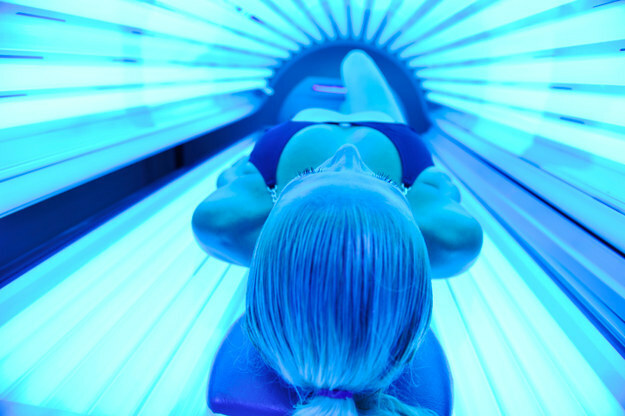 The World Health Organization recently added ultraviolet (UV) radiation-emitting tanning devices, like tanning beds and lamps, to the list of the most dangerous forms of cancer-causing radiation. 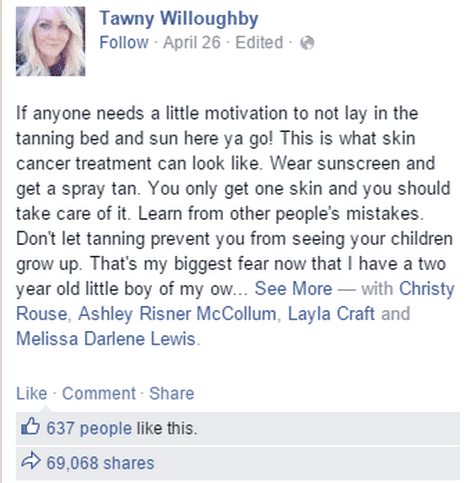 People who use tanning beds under the age of 30 increase their risk of melanoma by 75%. They’re also 2.5 times more likely to develop squamous cell carcinoma and 1.5 times more likely to develop basal cell carcinoma (other forms of skin cancer). According to the Australian Standard, solariums may emit levels of UV radiation up to three times as strong as the summer midday sun. However, a recent study found that 15% of tanning beds exceed this level, some emitting up to six times more UVA than summer sun. Due to the associated health risks, commercial solariums were banned from 1 January 2015 in all Australian states and territories except Western Australia. A ban in Western Australia is pending.